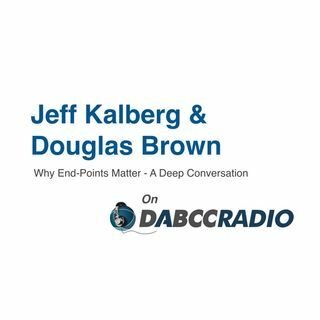 In episode 311, Douglas Brown interviews Jeff Kalberg, Technology Evangelist at IGEL Technology. Jeff and Douglas discuss dive deep into the world of secure end-points, aka Thin Clients. Jeff does a fantastic job detailing his views on today’s EUC market and how the end-point has changed over the years, why today, more than ever, a secure end-point is beneficial from both the economic side to the technical, plus so much more. This is a great discussion, and Jeff does a fantastic job diving deep ... See More into the today’s tech world! Jeff Kalberg is a Technology Evangelist at IGEL Technology with over 30 years of industry experience covering more technology than he cares to remember. An IT consultant for most of his career, Jeff has advised organizations of all sizes on a variety of technologies, including advocating virtualization solutions since the early ‘90s. Over the years, he has counseled some of the world’s largest and most respected companies. Working within all levels of an organization from marketing and sales to operations and finance to information technology, Jeff has developed a unique perspective that he leverages to the benefit of his client customers. Jeff holds a Bachelor’s Degree in Accounting from Wittenberg University in Springfield, Ohio.